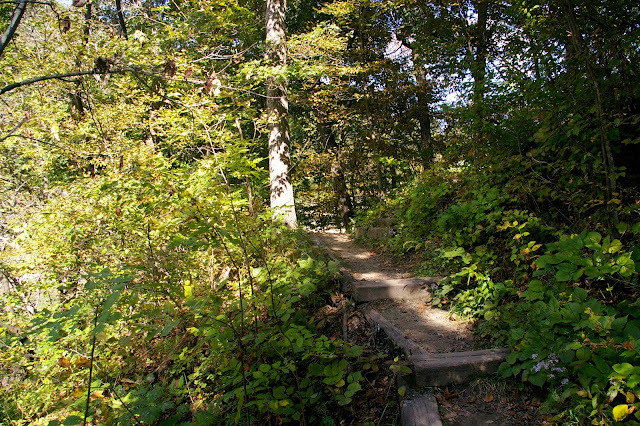 The Midwest is full of natural treasures ready for a hiking adventure. With the help of some of my favorite Midwest travel writers, I have collected some of our favorite Midwest nature destinations to inspire your next adventure. Forest Park Nature Center is a preserve located right in the city of Peoria featuring 7 miles of hiking trails, a natural history museum and more. 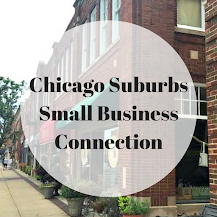 A real gem without living Peoria! Thanks to Enjoy Peoria for the suggestion! 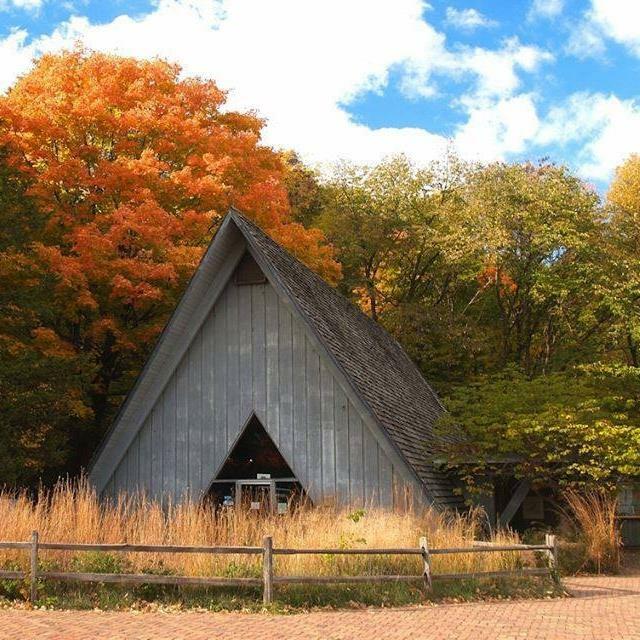 Forest Park Nature Center in fall. Image courtesy of Forest Park Nature Center. 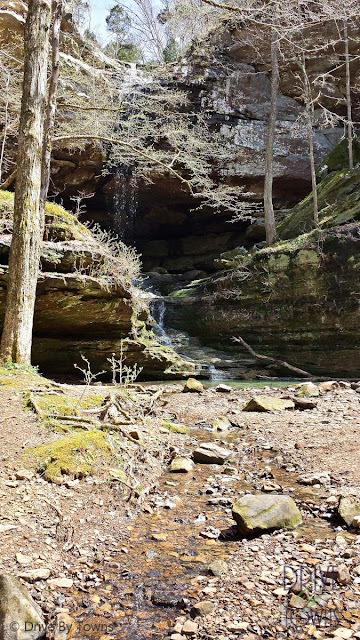 Theresa of Drive by Towns takes us to Ferne Clyffe State Park in southern Illinois which she found to be a fairy tale natural wonderland full of limestone bluffs, ferns and a waterfall! Truly a dream! This year, we hiked Nachusa Grasslands near Franklin Grove in Northern Illinois. Nachusa is a Nature Conservancy Preserve and is home to a herd of bison. While you may or may not see the herd, you will certainly enjoy the sandstone rock formations and the variety of ecosystems including wetland, savanna and prairie. Sandstone formations at Nachusa Grasslands. 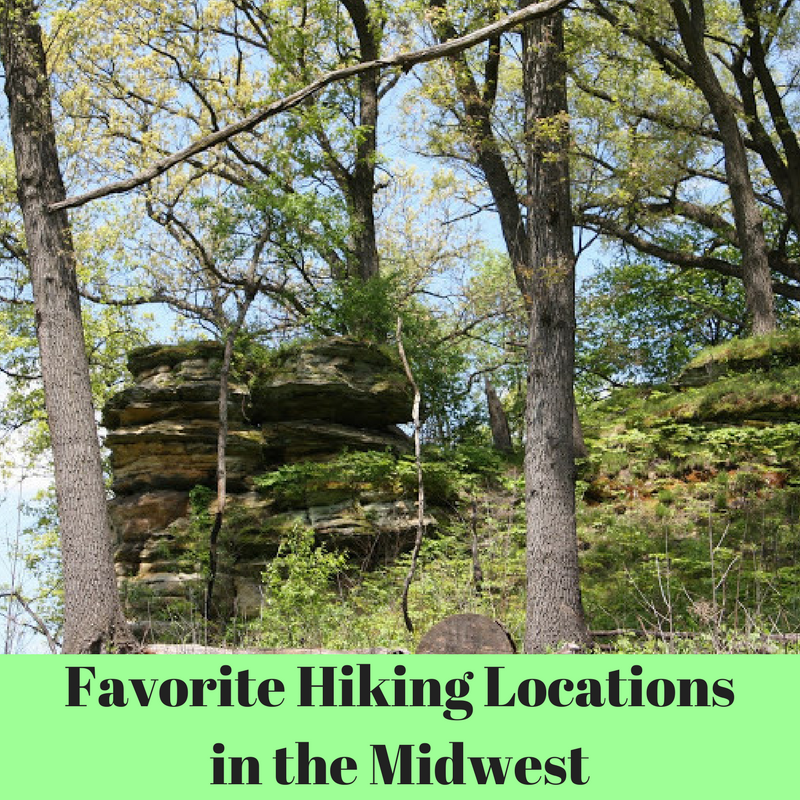 Our perennial favorite place to hike in Illinois is Starved Rock. Quite a bit of northern Illinois is flat, so the unique geological formations that we can traverse at Starved Rock are a spectacular novelty. Starved Rock is also an incredible place to bird -- you may encounter pelicans, bald eagles, hummingbirds, cedar waxwings and more depending on the season. Glistening waterfall at Starved Rock. Megan from Olio in Iowa notes about Ledges State Park: "Regardless of the time of year, Ledges State Park near Ames, Iowa is the perfect place to explore the outdoors. 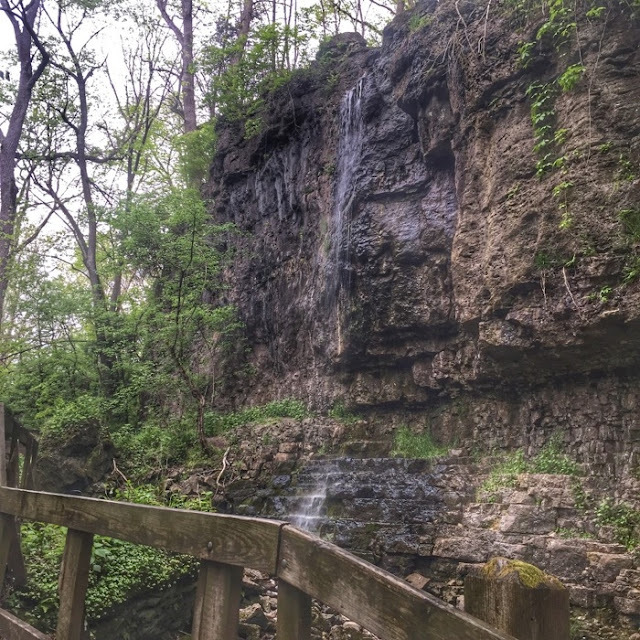 With four miles of hiking trails that crisscross up and down the park's bluffs and canyons, the park offers hikes for all ages and skill levels. We especially enjoy exploring Ledges State Park in the autumn when the trees begin to change and the scenic view over Pea's Creek canyon is at its most colorful." Ledges State Park photo courtesy of Olio in Iowa. If you are looking for hiking in western Iowa, Kim for Oh My! Omaha has just the place. She shares: "Loess Hills provide some of the most scenic hikes in all of western Iowa. They're unique land formations made almost entirely from wind-blown soil. 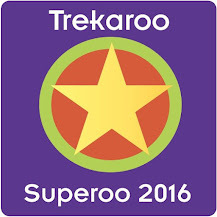 Trails range from short and kid-friendly to a bit more steeper and challenging options." Kyle from Between England and Iowa loves Mines of Spain in Dubuque. She explains, "The Mines of Spain Recreational Area in Dubuque, Iowa is home to 10 hiking trails of different lengths, intensity levels and covers several different types of landscape! 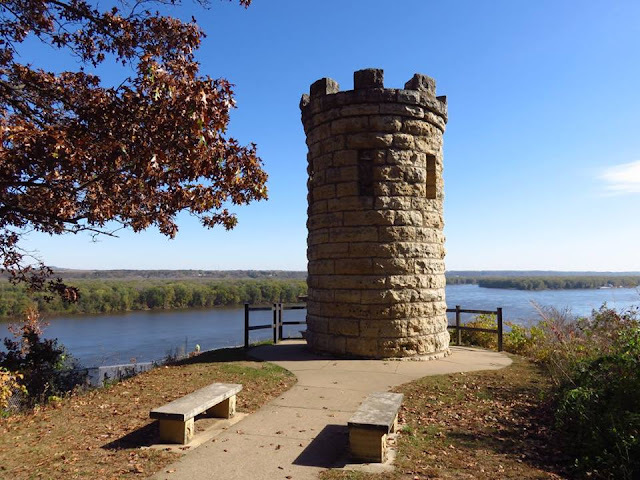 One of the most popular trails features the Julien Dubuque Monument complete with views high above the Mississippi River. Another favourite is the Horseshoe Bluff Trail where the path winds between two towering bluffs!" 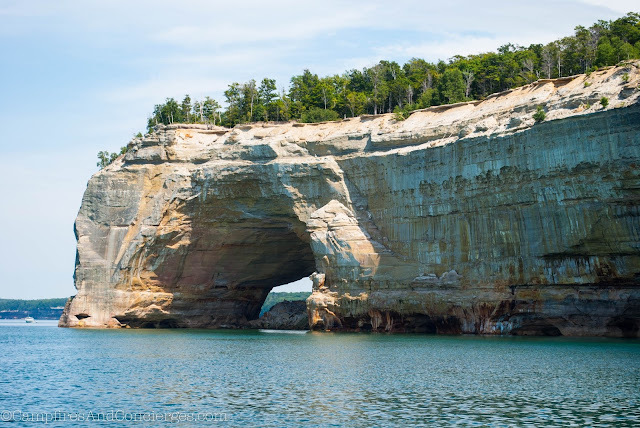 Leah from Campfires & Concierges shares with us Pictured Rocks National Lakeshore: "Pictured Rocks National Lakeshore in Michigan's Upper Peninsula is a great place to hike in the Midwest. Following the shore of Lake Superior, you'll experience beaches, forests and as the name suggests, rocks carved by wind and rain to form unique sculptures. For more of my favorite Upper Peninsula experiences, click here." Pictured Rocks National Lakeshore in Michigan image courtesy of Campfires & Concierges. 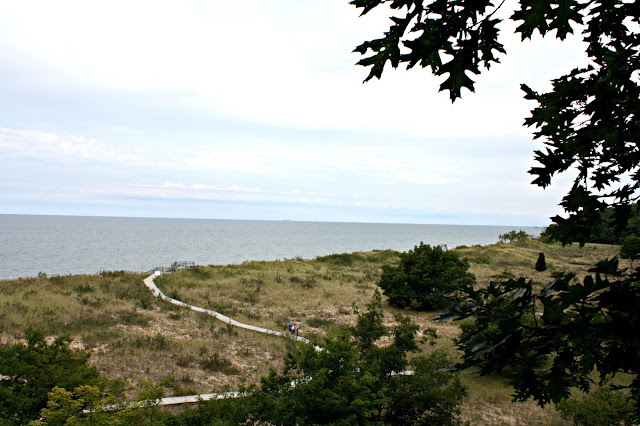 Rosy Mound Natural Area in Michigan has an incredible climb up a sand mound yielding to a spectacular view of Lake Michigan. Climbing the mound takes a bit of work but the secluded beach at the end is worth the trek! One of our new hiking adventures this year was a trip to Barn Bluff in Red Wing, Minnesota. The climb was slightly challenging in spots but the view of the Mississippi River below was worth it! 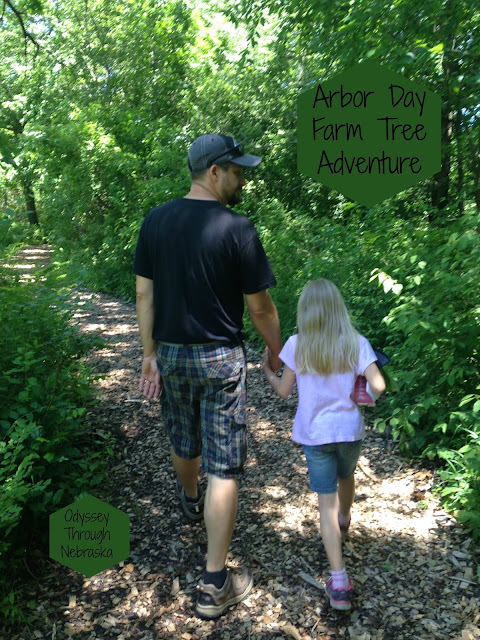 Gretchen from Odyssey Through Nebraska takes us to Arbor Day Tree Adventure Farm: "For a family friendly place to hike, look no further than the Arbor Day Farm Tree Adventure in Nebraska City. With places to stop and play along with various routes to pick from, this a great place for families to explore together." 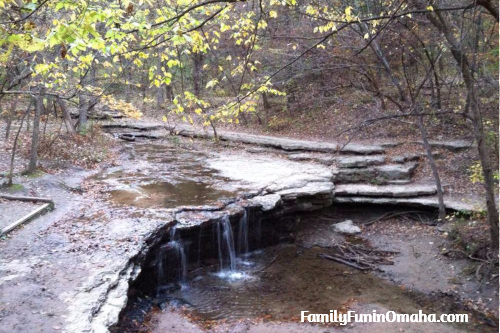 Julie from Family Fun in Omaha brings us to Fontenelle Forest. 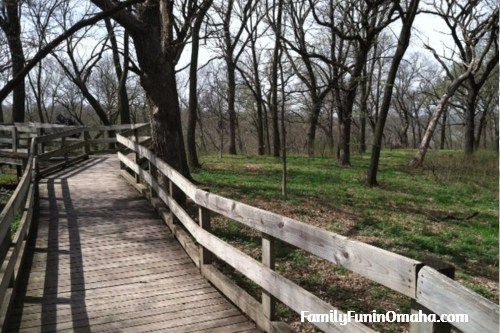 She shares: "Fontenelle Forest offers a beautiful walk in the forest, with a boardwalk and multiple hiking trails. Kids will love the natural playground, Acorn Acres, and exploring in the Nature Center." Trail at Fontenelle Forest. Image courtesy of Family Fun in Omaha. 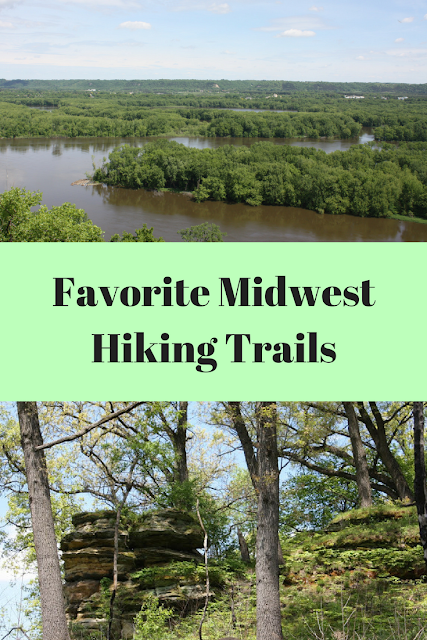 Another favorite in the Omaha area, Julie says of Platte River State Park: "We love hiking at Platte River State Park, especially to explore on the Waterfall trail. It is beautiful anytime of year, and is a perfect getaway to explore nature." Platte River State Park image courtesy of Family Fun in Omaha. 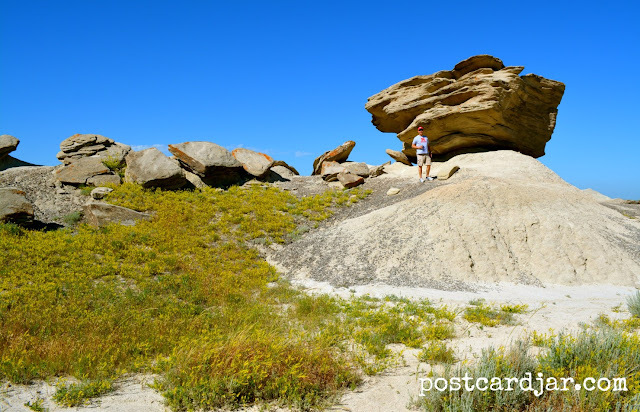 Steve from Postcard Jar shares: "You’ll see large rocks standing at impossible angles, or rocks hanging in the air, supported by only a thin column of dirt (these are the “Toadstools” because that’s what they look like). This looks like stuff in Roadrunner and Coyote cartoons. Near the end of the mile-long loop trail, your wife will tell you she’s going back to the car the way you came because she’s lost all confidence that you know where you’re going. It’s about then that you’ll look up and, with a smile, tell your wife you can see your car." Toadstool Geologic Park courtesy of Postcard Jar. Nedra from Adventure Mom explored Clifton Gorge State Nature Preserve discovering striking rock cuts, stunning waterfalls and lush green scenery beckoning for exploration. This summer we hiked the Hocking Hills State Park for the first time and were swept away. Caves, cliffs, canyons, waterfalls, a "rock house" and more natural creations inspired us to explore nature in serenity. 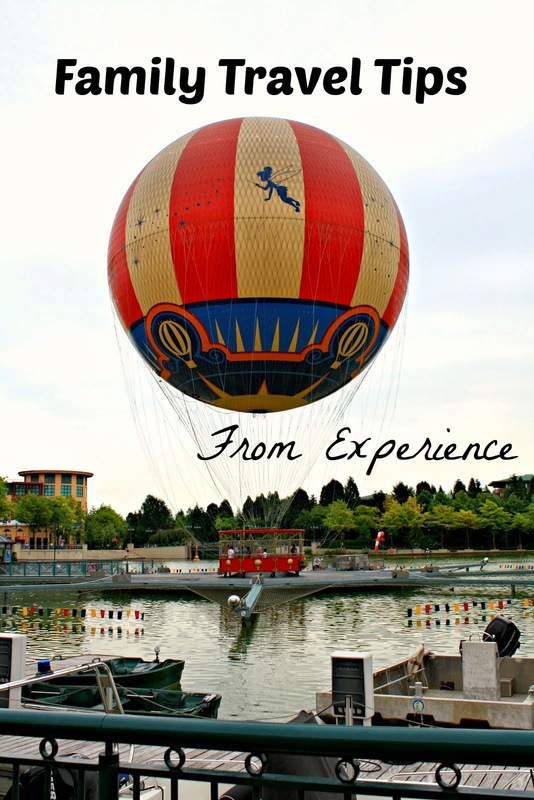 The scenery is truly remarkable and provides for a memorable adventure. Serene waterfall in the Hocking Hills. 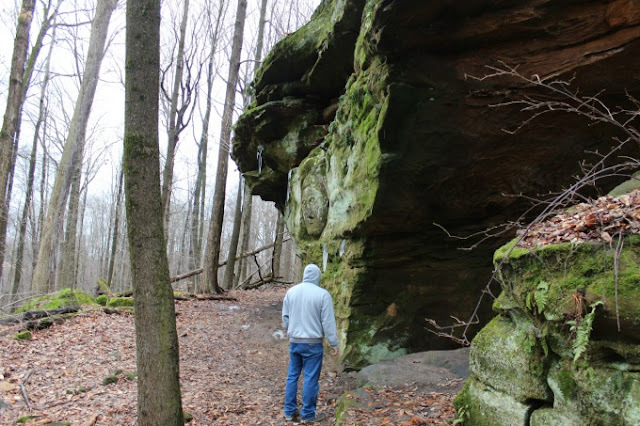 Tonya of Travel Inspired Living takes us to Worden's Ledges: "Worden’s Ledges near Medina, Ohio not only appeals to the roadside attraction lover in me, but also resonates with my outdoorsy side. The best of both worlds’, this short trail leads past a series of ledges and rock outcroppings in this park on the Hinckley Reservation which is part of the Cleveland Metropark system. Visitors will enjoy seeking the fun carvings in the rock that include a Sphinx, the face of George Washington and even a bible." 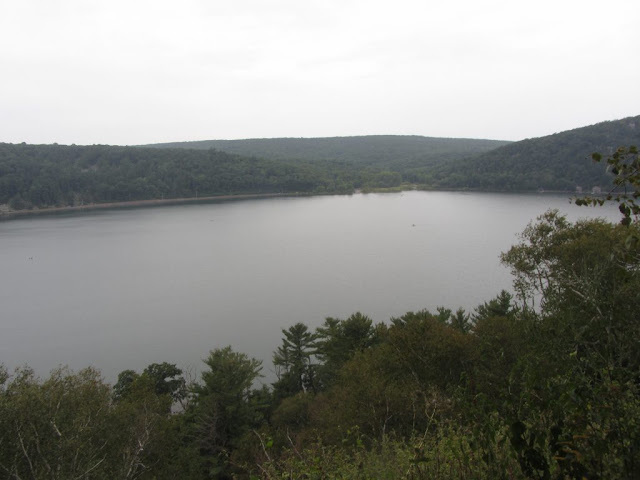 Miranda from Misadventures Make Memories takes us to Devil's Lake State Park of which she says "Located just northwest of Madison, Wisconsin, Devil's Lake State Park is Wisconsin's largest state park! From gorgeous wooded paths, beautiful views of the lake, and challenging bluffs. The views of the lake are absolutely stunning, even on a gloomy day! 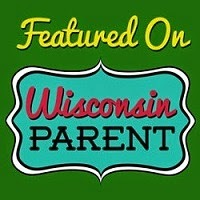 It's a must visit for any trip to Wisconsin." Are you ready for a hiking adventure yet? I know that I have some new gems added to my list! I'm glad you mentioned Iowa but I want to know where the photo was taken. 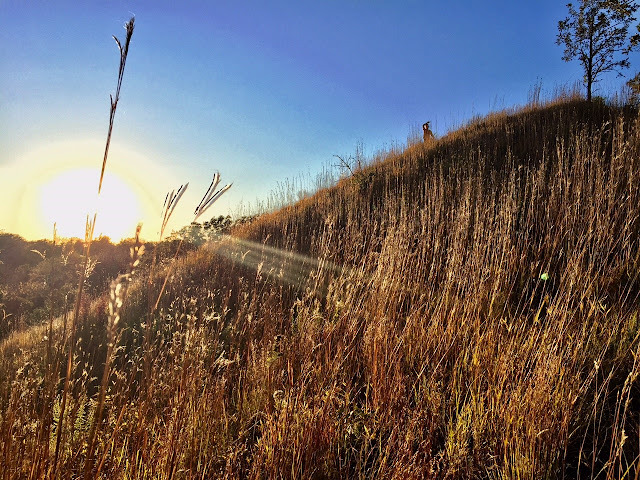 The Loess Hills span 7 counties along the western boarder of the state and there are dozens of public parks with beautiful hiking for visitors of all skill levels. It would be handy if instead of referring to an entire region of several hundred miles as being good for hiking you gave interested parties a park or two to start their search with. Hello! I will check for you. It was submitted by another writer so I am not 100 percent familiar with which section. I will get back to you with more info. Wow there are some great looking trails on this list!